The Avegant Glyph VR headset has been a long time coming since its original Kickstarter campaign. 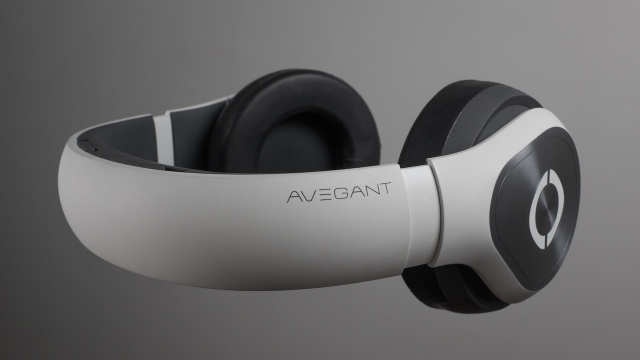 Now at CES 2015, Avegant is showing off the final, refined design of the headset and announcing a planned launch date of autumn 2015. The Glyph made our list of the world's most hotly anticipated wearables back in September for a reason. It uses a different display technique than the usual VR headsets with an array of micro mirrors which reflects movies and games directly onto your retinas. The resolution is 1280 x 720 per eye with a 45 degree field of view. We said it looks like a pair of headphones but in effect, it is. The Glyph weighs around 450g and can be worn as Beats-style headphones in audio mode then slipped over your eyes when you want to watch a movie. Avegant is aiming the Glyph at frequent plane travellers who want to watch their own films via the "personal theatre" without resorting to a tiny phone or tablet screen. The benefits of the technology are less eye fatigue and less motion sickness, or so Avegant claims. It's not just for movies either thanks to head tracking sensors - Avegant's demos at CES include the pant-wetting Alien Isolation and a VR version of Call of Duty: Ghosts. A HDMI port can pipe movie content to the Glyph from phones, tablets, computers and consoles and the battery life is three hours of video or 48 hours of audio playback. The launch has been pushed back from 2014 to autumn 2015 - you can pre-order the Glyph now directly from Avegant for $499. By the end of the year it will set you back $599 which is pricey, even for a VR headset. By comparison, the Oculus Rift is just $350. We'll be stopping by Avegant's booth when the show officially opens for a hands on look at the final design and functionality of the Glyph headset. Check back for pictures of Wareable editors looking like we've pulled headphones over our eyes.